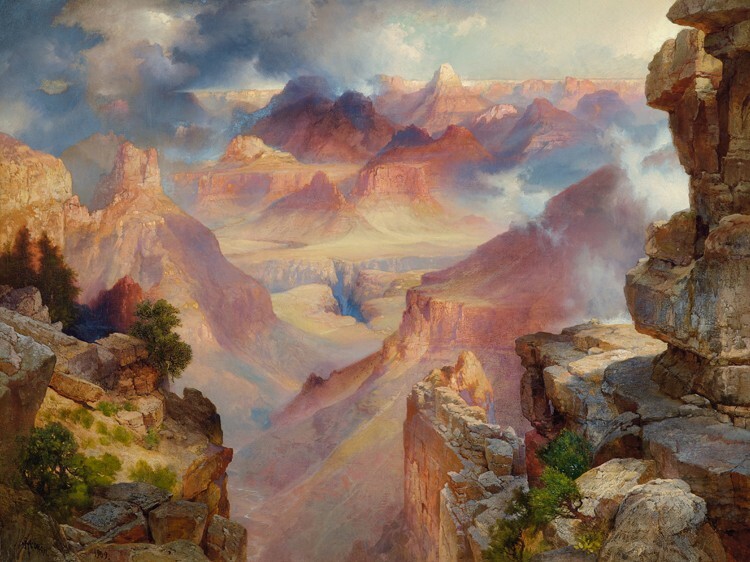 If you stopped by Seeing Nature: Landscape Masterworks from the Paul G. Allen Family Collection in its opening weekend, you might have noticed that several works within the exhibition take that majestic national treasure, the Grand Canyon, as a focal point. Chief among them is Thomas Moran’s captivating Grand Canyon of Arizona at Sunset. This entry was posted in Exhibitions and tagged american landscapes, arizona, find your park, findyourpark, national parks, Seeing Nature, the grand canyon, the national park service, thomas moran. Bookmark the permalink.